If Ritchie Blackmore had a dollar for every musician who passed through his payroll, he could retire to Sherwood Forest and cool his frets forever. Oh, wait a minute! Kidding aside, the legendary Deep Purple shredder has assembled some fireball bands over the decades, not the least of which was Rainbow in 1976. Following Purple’s reign, Rainbow arrived in 1975 and found its pot-of-gold lineup one year later. 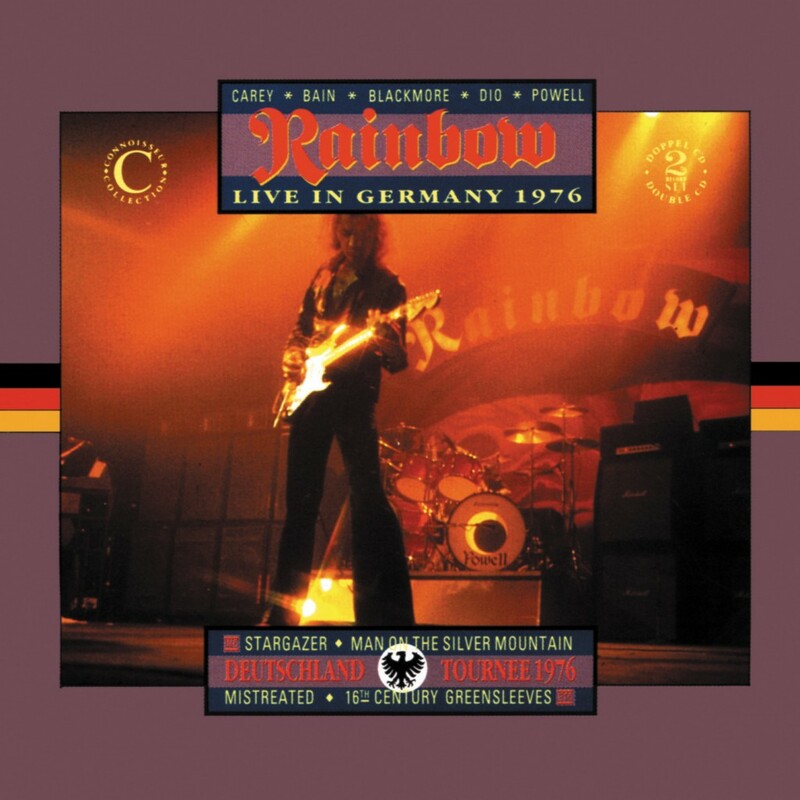 Comprised of singer Ronnie James Dio, bassist Jimmy Bain, drummer Cozy Powell and keyboardist Tony Carey, the lineup released the now-classic 1976 Rainbow album, “Rising,” before fading fast into heavy metal mythology. Gone, but forever revered, this classic version of Rainbow was captured “Live in Germany 1976.” The long-lost concert was recently reissued through the treasure-trove vaults of Eagle Rock Entertainment. If you’re a casual Rainbow or Dio fan, this is not the album for you. With five of eight songs stretching toward or beyond the 15-minute mark (and another clocking in at 9:45), “Live in Germany 1976” offers more noodles than a Chinese buffet. Most songs don’t even get started until the three-minute mark following trippy intros and squiggly guitar doodles. Eight songs across TWO CDS? Holy smoke on the water! Extended jams, drum solos and ongoing outros were all the norm in 1976, but when a band of virtuosos like Rainbow takes the wheel, the car is gonna run out of gas. Yes, the talent is impressive, but in the 1976 arena, even a tight song like “Man on the Silver Mountain” (with its “Hush” intro) gets driven til the wheels fall off. Live on stage in 1976, Rainbow will never be confused with the Ramones. I think some band’s in the 70’s did take soloing to new hights!! Led Zep 30 minute jam’s.. i’ve seen this DVD here not brought.. cool review though.. Hate to admit it, but if there’s a Cozy Powell drum solo on here, I’ll probably pick it up.